Merry Christmas and Bring in the New Year with Great Savings! 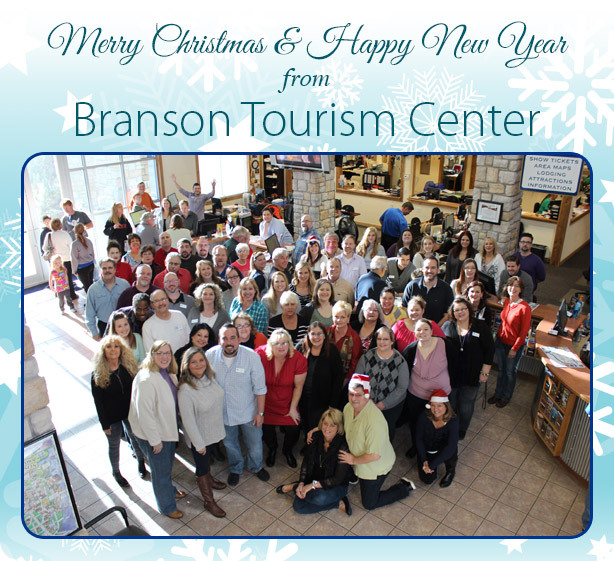 "Just a quick note to thank all of you at Branson Tourism. You offer a truly professional product wrapped in warm southern hospitality. My groups love Branson - from the world class shows right down to the Titanic Museum. (A surprising delight) Thanks fortaking such good care of us. See you when I return in December. Looking forward to the Christmas music and lights. "